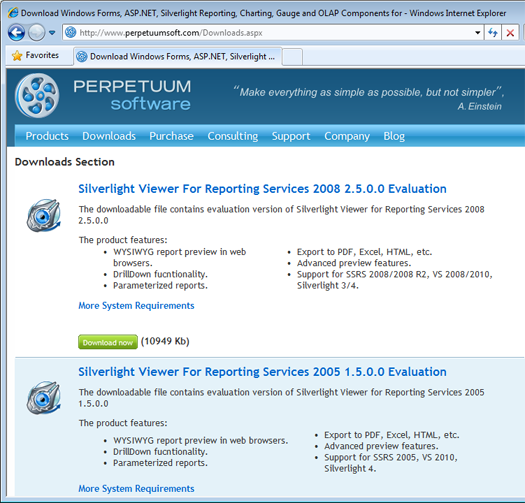 After you purchased a license for the product the following steps are required to install your license: If you already have your personal account on the Perpetuum Software LLC web site, log in to it under your current user name and password. 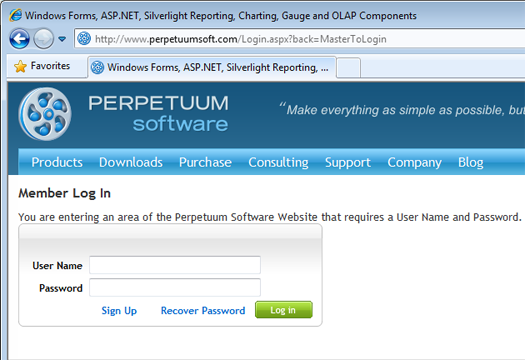 If you don’t have your personal account on the Perpetuum Software LLC web site, company representative will create it for you. Corresponding information on your account will be sent to the e-mail, specified in the order form. Then, proceed to the "Downloads" section. Download and install evaluation version of the product. Note: If the current product version trial is already installed on your computer, there is no need to reinstall the software. Look up for a license link for the product and click it. You will be prompted to download the zip-packed license key file. This file should contain the *.elic license file. If you purchased several licenses, license key file should include several different *.elic files, one for each purchased license.